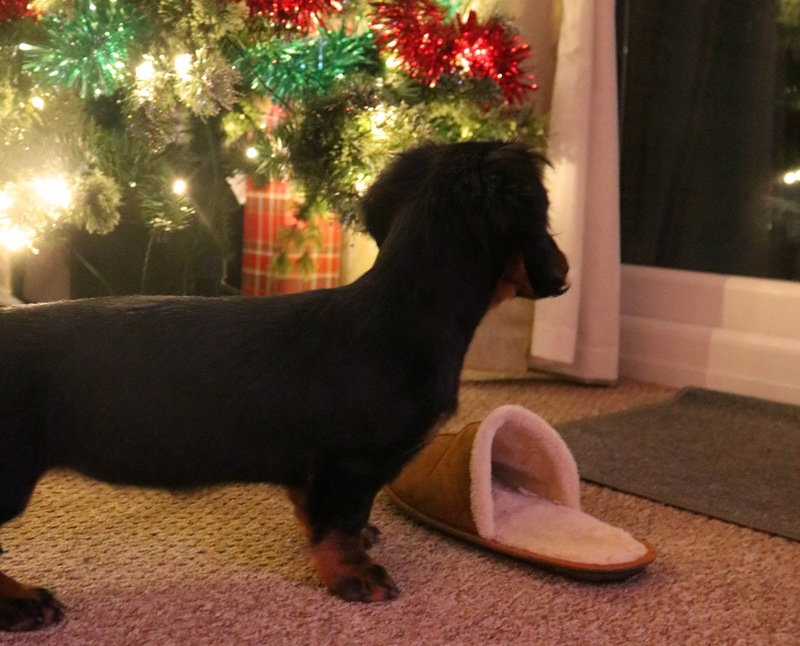 If you are a regular reader of my blog, then you will know that we have recently had a new addition to the family - Pepper the Dachshund puppy! I know most people see their dogs as their fur babies like me and will spoil them this Christmas so I've put together a bit of a Christmas list for dogs for some inspiration. I have a female doggy so this would't quite suit her but I think it's adorable and would suit a male doggy perfectly, especially a dachshund (though I am biased). How smart would he look in this?! I think it's so important to ensure dogs are wrapped up in winter as they are so used to living indoors that of course they are going to feel the cold when they go outside! I'm not a fan of dressing my dog up in constricting accessories and always put my doggy first so something stretchy and comfortable is key. This is such a cute idea and I would love to buy one of these for my puppy for Christmas. Though at the minute, she has a bad habbit of picking up her water bowl, tipping it everywhere and running around with it so not quite ready to spend money on a nice one until she learns to look after her current one! Contains: Squeaking Goose Toy, Rope Toy, Duck & Vegetable Biscuit Bones and White Fish & Vegetbale Biscuit Bones. I love the Wainright's dog toy range and have bought my puppy a couple of the toys and a bed from the range which she loves. I know this would go down with my dog! I've bought this for my puppy this Christmas and it's currently sat in her Christmas stocking. No dog can ever have too many toys! Especially an excitable puppy that likes to chew toys so the more toys in my house the merrier to distract her from furniture and wires! Candy cane dog treats! How cute! The treats contain rawhide which is a natural treat which provides long-lasting chewing enjoyment for your dog, it is also great for helping to control plaque and tartar build up in the mouth, assisting with your doggy's dental health. There are so many more things you can buy for your doggy over Christmas. Do you have any surprises up your sleeve for your fur baby this year?